The dirt bike crashing in question took place in Harlem, one of the most famous black neighborhoods in the world and one ravaged by the city’s notorious and widely discredited stop-and-frisk policy which targeted minority neighborhoods for small infractions in the false hope it would stop people from committing felonies. Stop-and-frisk has mostly been phased out, but some local advocates see echoes of that policy in the city’s crackdown on illegal e-bikes primarily used by the city’s immigrant delivery workers while the city’s bikeshare system rolls out thousands of e-bikes. That’s a lot of history and context behind the three seconds in which this cop smacks his face on the pavement, but it’s important in understanding the cheering that takes place afterwards. By my count, this officer is breaking at least four laws. 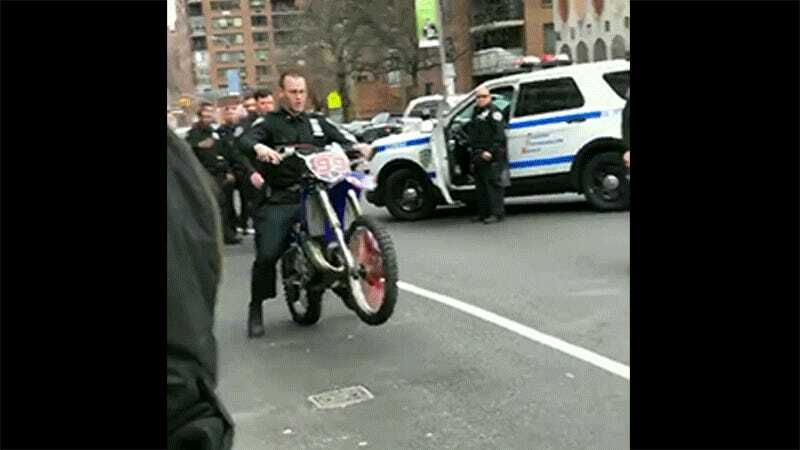 First is the use of the illegal dirt bike on New York City streets. 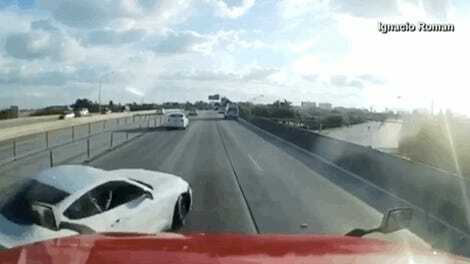 The second and third are that he is not wearing a helmet or protective eyewear as required by New York State law. The fourth is that he is running a red light, which is why that silver car enters the intersection, forcing him to swerve on a bike he absolutely does not know how to use (perhaps the officer forgot he wasn’t in a cruiser; New York City residents, at least, know it’s common practice for NYPD to turn on the lights and sirens just to go through an intersection against the light before immediately turning them off again). So you’ll forgive the Harlem residents for taking a minute to enjoy a little justice from the universe, because they don’t get a whole lot of it here in New York.